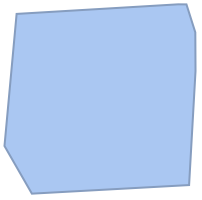 gives a BoundaryMeshRegion representing the convex hull from the points p1, p2, …. 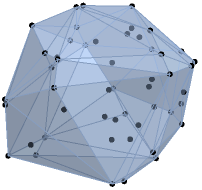 The convex hull mesh is the smallest convex set that includes the points pi. 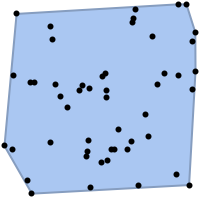 The convex hull boundary consists of points in 1D, line segments in 2D, and convex polygons in 3D. 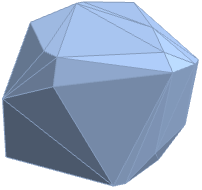 ConvexHullMesh takes the same options as BoundaryMeshRegion.